I love making little treats my loved ones! And making this little treatbag for my son's teacher was such a happy crafting moment. 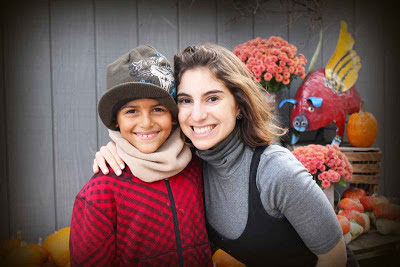 Here is a picture of my son with his teacher - isn't she just the cutest thing! I love his smile when he is with her! Teachers have all my respect - they nourish and nurture the very tender strings of a child's heart - what an amazing profession! I cut the apple in red and green felt and then stamped the inside of the apple and lightly colored it with copics and then added a glaze to it. I added a little pennant border on the side with some twine and then rounded the corners to the card base. 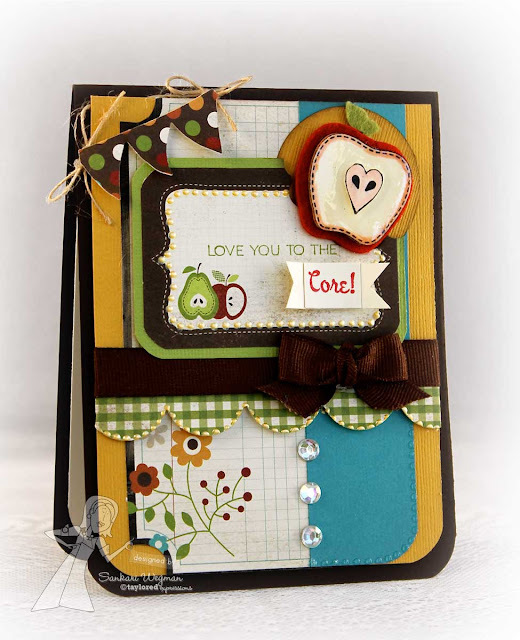 This kit features the Simple Stories: Harvest Lane paper pad collection which has so many nice sentiment panels and I stamped part of the sentiment to the panel in green and the word "core" I stamped on another sheet and tried to create a "core-ish" look by trimming the edges. Along with this kit - you receive coordinating cardstock, ribbon, a burlap trim and embellishments!). 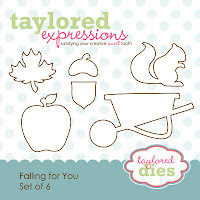 Its a great time to become a Key Ingredients subscriber if you aren't already one, because Taylor has a great deal going on right now - The new Falling for You stamp set designed by Nancy McKinney, is available to all KI subscribers (great deal on it right now!) and it comes with a coordinating set of dies!!! 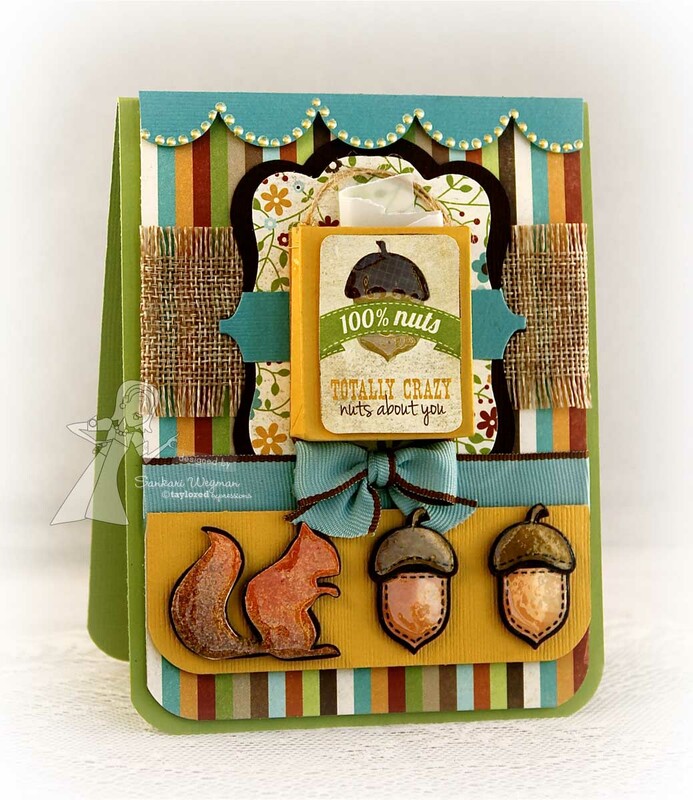 You can check out more information on the kit, the new stamp set and the dies HERE. And check out the pictures of all of these ingredients that are available this month: !! 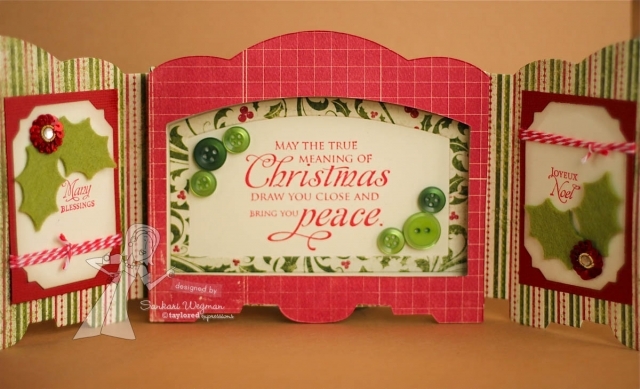 This is such a great way to create some quick cards - and this stamp set is just adorable! Can't wait to share some more projects from this set soon! Hope your week is off to a great start! Thank you so much for stopping by today! 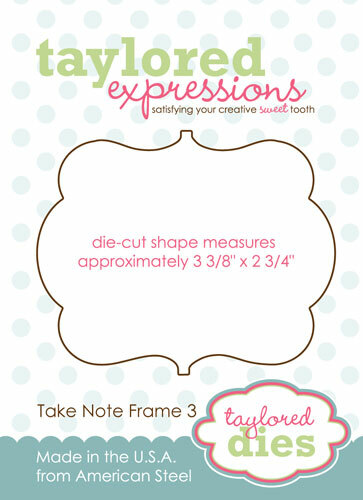 Today I created a little project using the October Key Ingredients kit from Taylored Expressions! Papers: Simple Stories: Harvest Lane from the October Key Ingredients Kit includes ribbon and cardstock as well. 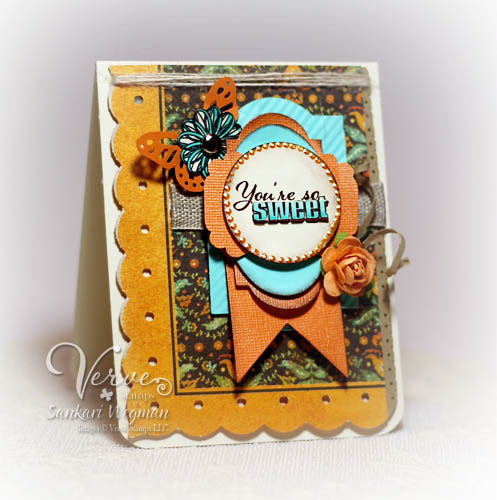 I used the new coordinating dies called Falling For You (available only to Key Ingredient kit subscribers) to create this card using the papers, ribbon and cardstock from the October KI kit! 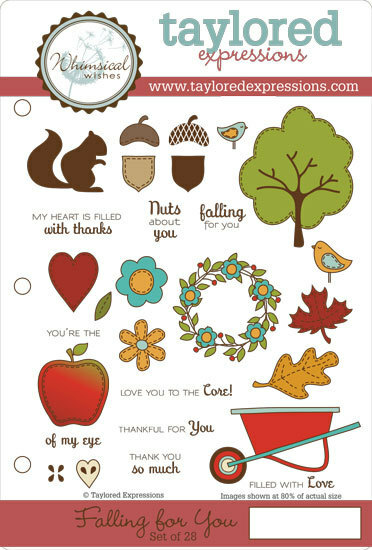 I love these beautiful fall papers - just in time to get all your fall/thanksgiving cards, scrapbook pages and more done! I cut out the cute little squirrel (stamped with two shades of ink) and the nuts (which I colored with copics) and created a mat for them with the dies and then added a glaze to them. 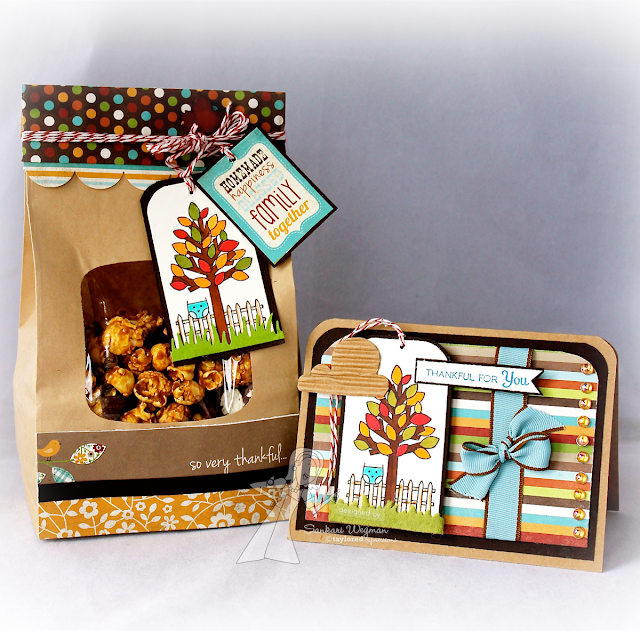 I used the Shopping Bag & Labels die from TE to create the bag over the Take Note Frame 3 die. I used the sentiment: 100% Totally Crazy Nuts about You from the papers as a Label for the bag and tied some twine to the ends of the bag. I love all the ribbons that comes with this kit - especially this blue ribbon with the brown edging - SO cute!! 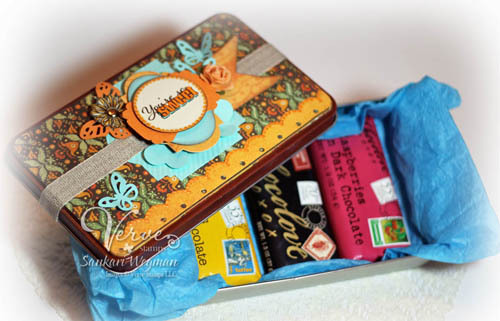 Key Ingredients Info and Inspiration – October 10-15 - learn all about this fantastic kit club and see samples from the Key Ingredients Design Team and the Baker's Dozen! Click here for all the info. October Key Ingredients featuring Simple Stories Harvest Lane 6x6 papers begins shipping October 15th. Enroll now! 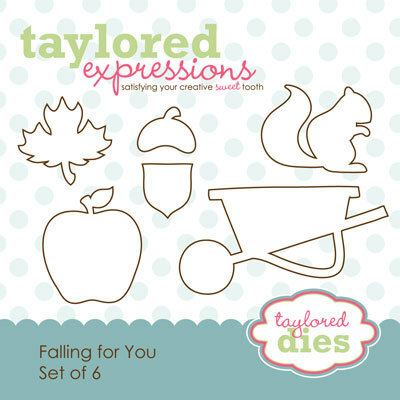 Exclusive Falling for You Stamp Set & Coordinating Dies- find out how you can get your crafty little hands on the adorable new stamp set at 50% off for a limited time! Click here! I can't wait to see what all of these lovely designers have created using all of these ingredients!! Hop on over with me and check them out! Thank you so much for stopping by today! I appreciate your visit! Happy World Card Making Day! 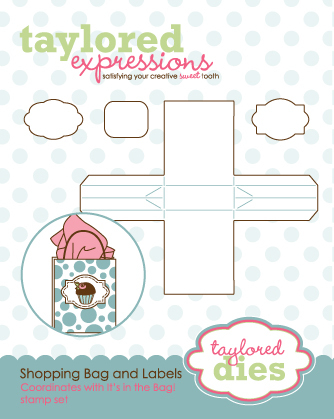 All of the new Taylored Expressions products from the October release are SO cute and are in the TE store – and even though release week is over, the crafty fun keeps going! In honor of World Card Making Day – We created some fun TE card, and for me – I HAD to use the super cute Peppermint Place stamp set with the Merry and Bright Project Pantry - love these bright and colorful papers! 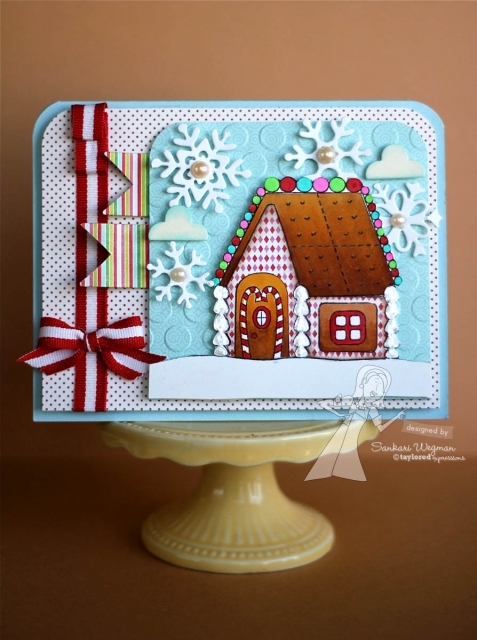 This stamp set is such a must have for everything winter wonderland because it features THE cutest gingerbread house – makes me want to make some hot chocolate and eat some gingerbread!!! I wanted to keep the layout really simple and so I didn’t have a sentiment on the outside – only on the inside. I colored in the gingerbread house with some copics and then colored in the outside with some bright and fun copics. I stamped some pennants from the Christmas Countdown stamp set and paper pieced them with some cute DP and then added it to the side of the image. 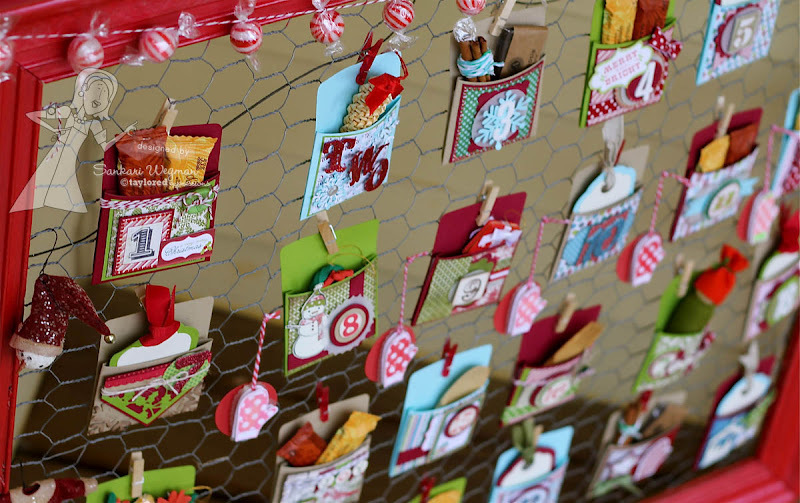 The Merry and Bright Project Pantry kit is such a great one to have for your holiday cards - AND in honor of World Card Making Day - today there is a SPECIAL where you can receive 15% off on card kits and project pantry kits . Just go to the Current Specials Page at the TE store and ender this coupon code! Such a great way to celebrate World Card Making Day! the inside I added this super sweet sentiment – and then added some candy canes on the bottom – sigh!! Such a cute little house – glad that I don’t live in a gingerbread house though because I could never leave – I would just be sitting there the whole day eating gingerbread walls! HA! They would have to roll me out of the house by breaking down the door lol! Well, I can’t wait to see what all the lovely creations are from all of these amazing designers - please hop along with me and check them out!! 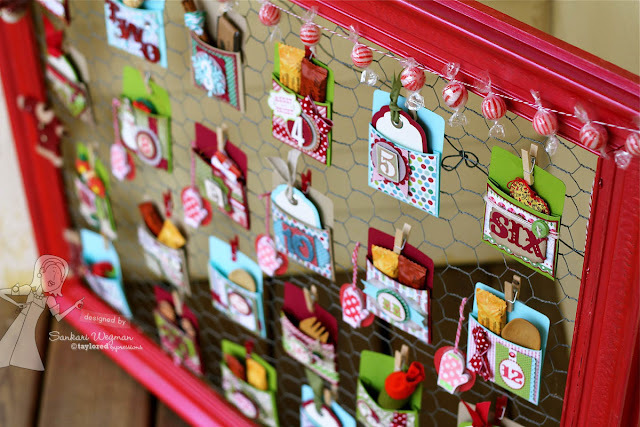 Verve Diva Inspiration Hop: World Card Making Day Edition! 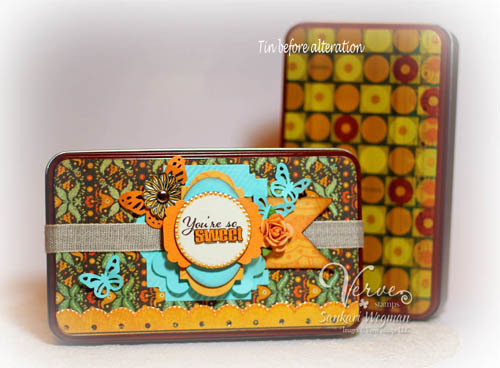 Welcome to the World Card Making Day edition of the Verve Diva Inspirations Hop! Along the hop this month we're debuting FIVE brand new plain janes that just hit the store today, so grab a drink and hop along to see a fresh mix of old and new Verve and maybe even win a prize! You can find out all the prize details and see the full reveal of the new plain janes over on the Verve Blog today. 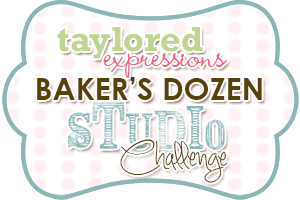 If you are coming over from the amazingly lovely Julee's blog - then you are in the right place and if you just arrived here and want to start in the beginning - you can start with the beautiful Betty's blog! For my project today, I used the new PJs So Sweet and the Loopy Ribbon stamp set to create a little giftset. I found these two tins in a garage sale (2 for a $1, Score!). They are such a nice size - big and flat and perfect for chocolate bars (that was the first thing that came to mind!! LOL!). 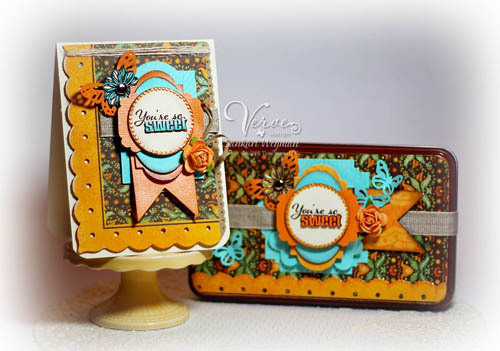 I kept the layouts the same for both the card and the tins and layered the sentiment onto a circle punch, EK success punch, Verve dies (Classy Label die, Vintage Oval die, Ribbon Banner Die), Spellbinders and circle punches and then added some embellishments around the sentiment. Here is a closer look at the card - the vertical one standing up is how the tin looked like before alteration - and then on the after, I adhered some paper from MME that matched the sides of the tin and then applied a layer of Mod Podge over it so that it could seal the papers onto the tin. I wrapped the burlap ribbon over the tin and with some red line tacky tape. There are these delicious little chocolate bars that fit perfectly into the tin container (I love it when things fit in perfectly!) and I wrapped them inside the tin with some tissue paper. It was so much fun making this set – and I can’t wait to see what all the lovely ladies have created with all the Verve sets in da house! Next up on the hop is the sweet and talented stylings of the wonderful Sony!! And don't forget to leave a little love on everyone's blog as you hop because your lucky comment might just win some Verve!! Today is Release Day over at Taylored Expressions and its a HUGE one! SO many new stamps, new dies and Project Pantries for your crafting pleasure - you can check them out at the tab: Fresh Out of the Oven Department. While you are there - you can also check out the TE Current Specials page! - - for quick Advent Calendars - keep the layout the same and use simple die cuts that make mass production easy. 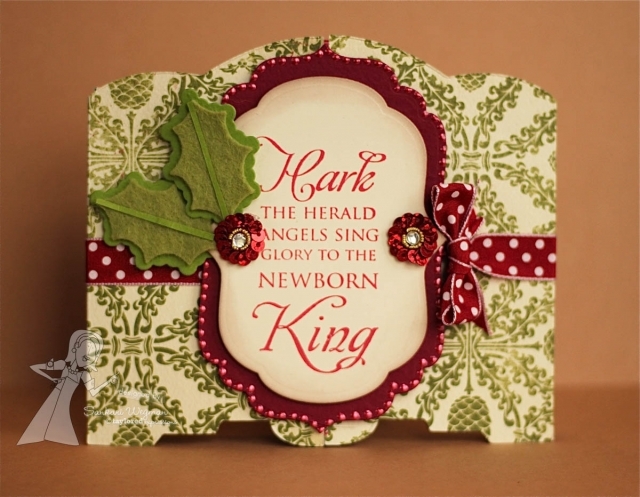 If you have more time - its fun to mix and match papers and layouts - also it makes it easy to use paper pads that already have die cut shapes or christmas sentiments etc. 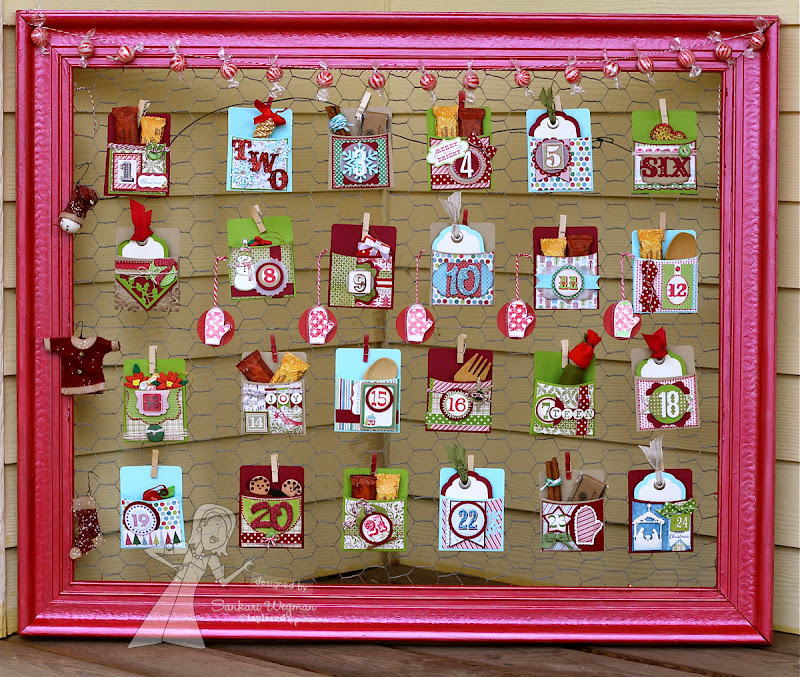 - - Add a magnet to the back of the die so that it can stick to a magnetic board, you can punch a hole at the top so that you can string it, or take a clothespin to pin it onto something like a wire or twine. I I can't wait to see what everyone has created for today's hop! Please join me and check them out!!! Thanks so much for hopping over today! 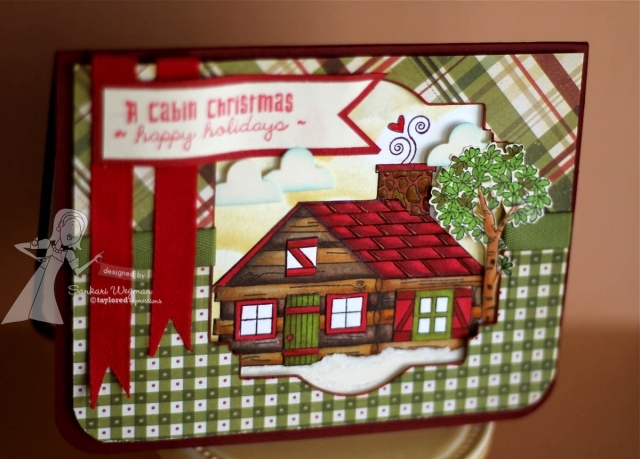 For one of my projects today, I used the super cute Petite stamp set: Cozy Cabin designed by the talented Doug Applegate for the Apple Doodle Ink collection at Taylored Expressions. 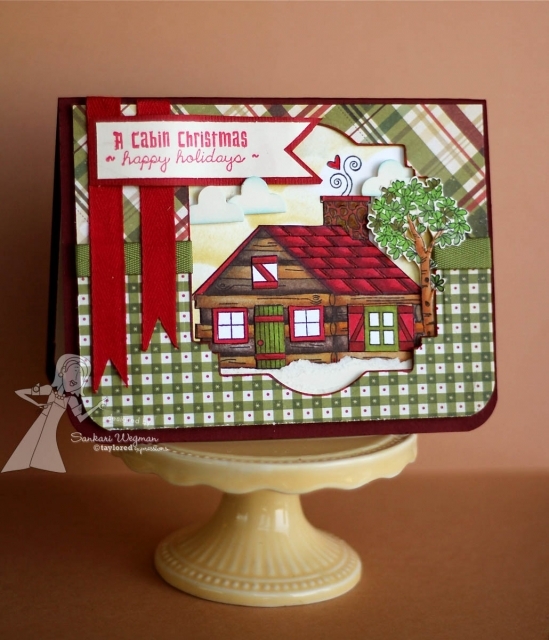 This cute little cabin is so perfect for not just Christmas cards, but friendship cards and the ever difficult masculine cards! I loved making this card because my husband's parents have a cabin up north that we go to every summer. Going to the cabin is such a special experience - being out in nature, by the lake, in a little cabin tucked away in the woods is always one of our highlights that we look forward to. Thanks for stopping by! 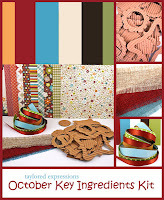 Please hop over tomorrow for an inspiration hop with this beautiful release!